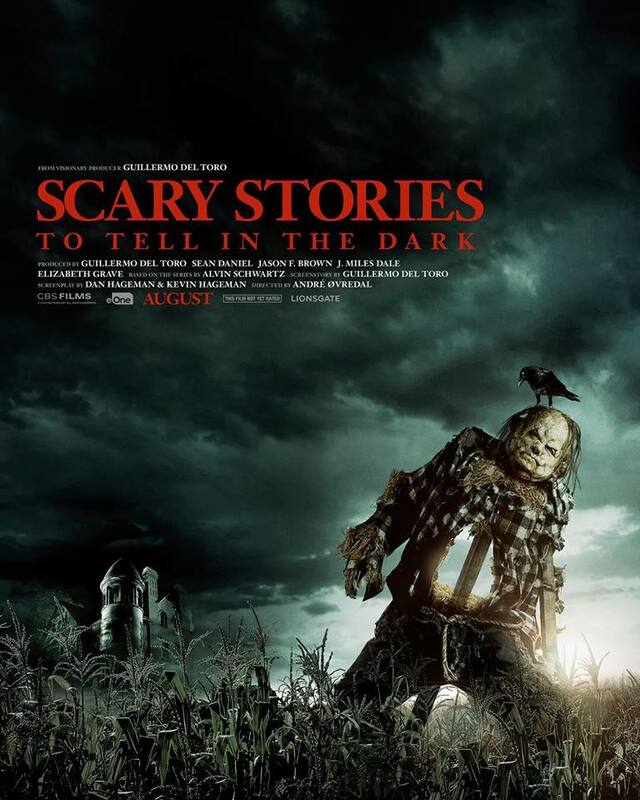 The film adaptation of the popular horror book series Scary Stories to Tell in the Dark will be set on and around the Halloween holiday, but it will arrive in theaters this summer, and an awesomely creepy assortment of short teasers have just been released. The first official teaser poster – featuring one of the series’ most memorable characters, Harold the scarecrow – was also released on Friday (Feb. 1). The (updated) official synopsis: It’s l968 in America. Change is blowing in the wind…but seemingly far removed from the unrest in the cities is the small town of Mill Valley where for generations, the shadow of the Bellows family has loomed large. It is in their mansion on the edge of town that Sarah, a young girl with horrible secrets, turned her tortured life into a series of scary stories, written in a book that has transcended time—stories that have a way of becoming all too real for a group of teenagers who discover Sarah’s terrifying tome. You can see the official teaser poster and watch the first four mini-teasers below.